He’s marking off that checklist! While Erin Andrews is busy prepping for Super Bowl LI, her fiancé Jarret Stoll has been seeking inspiration for their upcoming wedding. The Dancing With the Stars co-host, 38, revealed in a new interview with Extra this week that Stoll, 34, has picked up the planning baton while she’s getting ready to report from the sidelines with Fox Sports on Sunday, February 5. For now, Andrews can reveal that they will forego a black-tie wedding for a more casual affair. “Jarrett isn’t even wearing a tie!” she said. The future bride also plans to ditch the “veil thing” during her bachelorette party. “I don’t do that,” she quipped with her friend. 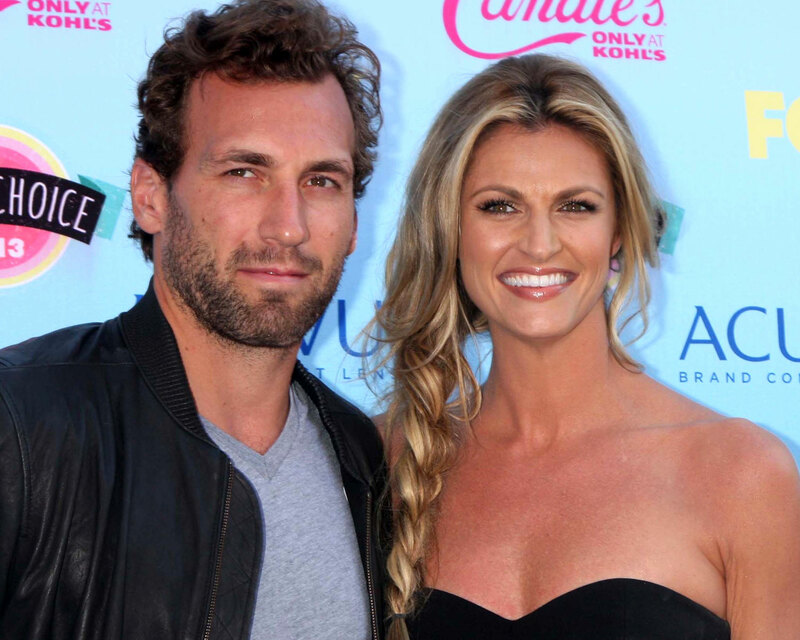 Be the first to comment on "Erin Andrews Says Fiance Jarret Stoll Is Pinning Ideas and Planning Their Wedding"